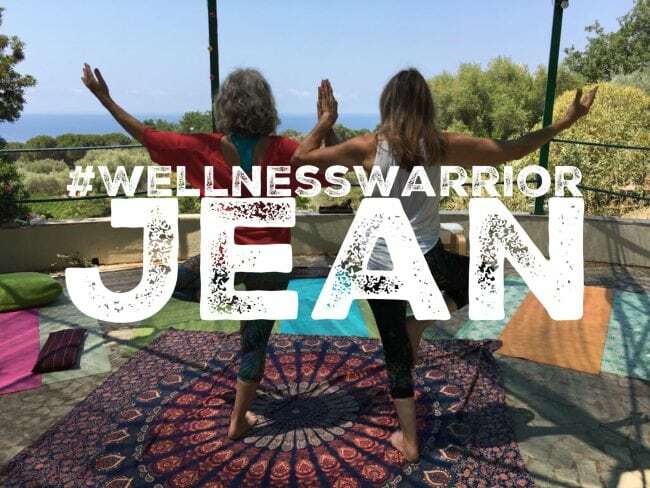 I feel very honoured to be sharing Wellness Warrior – Jean’s inspiring story with you. Jean talks to me openly and with much clarity about her condition and how she found an improved sense of webbing without finding a cure. In my #WellnessWarrior series I want to inspire you through other people’s stories. 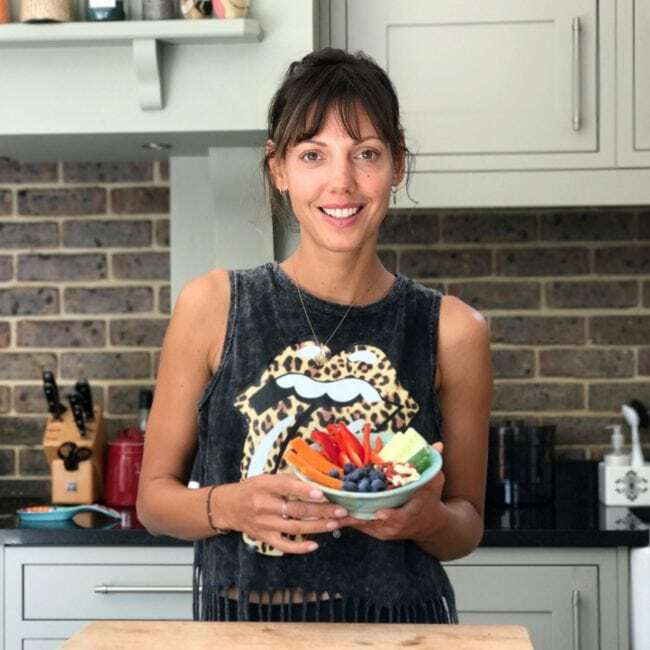 I am meeting so many brave, courageous and humble people through my Supperclubs and through openly talking about my own journey with breast cancer. It’s not so much to ‘what exactly’ people do to improve their wellbeing, but it’s the turning point that is of interest to me. It’s the fact that some people dig deeper and look further afield- which can make all the difference to their wellbeing. 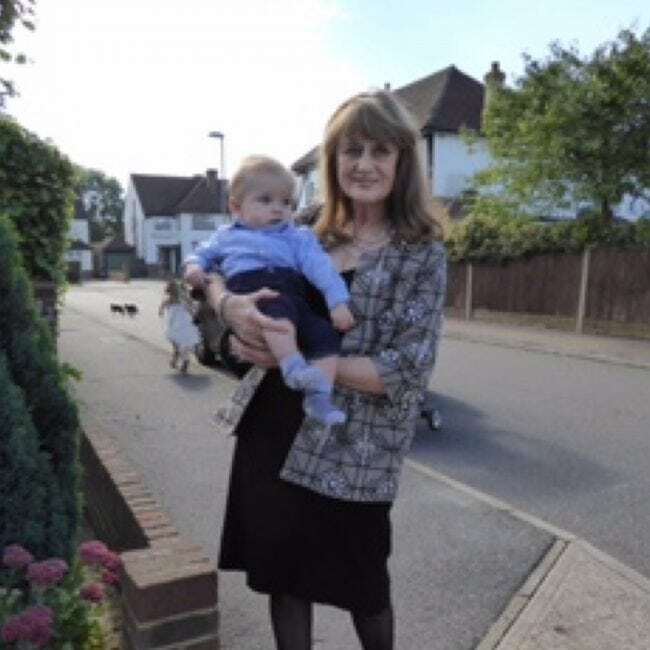 Jean is a super fit, larger than life, fun and fabulous looking woman in her early 70’s, always up for a good laugh, likes to travel, still works full time, looks after her grandchildren on a regular basis and is the life and soul of any party. It’s difficult to imagine that she lives with a very distressing condition… 24/7, 365 days of the year. Following an ear infection over five years ago Jean was diagnosed with tinnitus. She was aware that she had low level tinnitus for some years prior to this but this ‘episode’ was something else, very frightening to Jean and changed her life immensely. Tinnitus is the term for ringing in the ears in the absence of any corresponding external sound which has no known cure at present. For some people this can be a minor irritation but in Jean’s case presented very severely where the noises became unbearable. But after several weeks off work and loosing too much weight, Jean decided to take anti- anxiety medication and anti- depressants, always in the hope that the condition would get better and this ‘episode’ would stop. Fast forward to today and the tinnitus is still going on. The difference is that hat Jean is no longer sitting at the top of her stairs in despair, no longer takes any prescription drugs, instead she’s just returned from a yoga retreat in southern Italy with her best friend, tanned skin, sparkling eyes and full of life and laughter. So what’s changed I asked Jean? Jean then went from appointments in private clinics to visits to the audio department at the local hospital, from MRI scans to hearing therapist, from trying cognitive behaviour therapy and taking part in an extensive tinnitus study at UCL. This quest was to understand, reduce and find a way to live with her tinnitus. However, sadly, with no reduction in the noises she was constantly hearing. But still, Jean stayed on top of her game, her extensive research into tinnitus and everything that is available to date gave her more confidence and a sense of control. Jean goes on to say that the real turning point was finding mindfulness techniques and accepting that the noise in her head ‘is part of who she is’. She made this into a kind of mantra and repeats this when she feels the need if he noise becomes too intrusive. It was also at this point that Jean reconnected with a regular yoga practice. 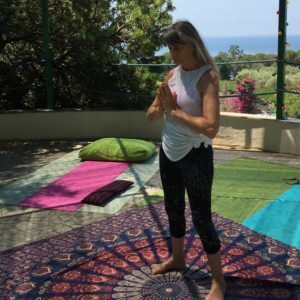 “The concept of yoga has been an inspiration to me for many years in trying to connect the mind, body and spirit as one. In many ways my diagnosis in 2012 provided that reconnection I needed.” Jean feels that through practicing yoga regularly she not only became more flexible physically and calmer mentally but that it helped her find acceptance of her condition. I can’t tell you how humble Jean’s story makes me feel, as I simply can’t begin to imagine what it must be like living in her head day in and out. I also know that although Jean is managing to live a good life, she feels that she is constantly living on the edge, worried her tinnitus could get further out of control, tipping her over the edge. Which it does, from time to time, but today Jean knows that she can tap into the resources she has worked so hard to put together for herself and she knows that letting go is a better option than resisting it.